The Orthodox Christian Laity Winter Board Meeting took place in Columbus, Georgia the last week of February 2012 at the Hilton Gardens Inn. Advisory Board member and former mayor of Columbus, retired Colonel Robert S. Poydasheff, was the host of the productive meeting. President Bill Souvall from Salt Lake City, UT presided. Bob Poydasheff greets Board. Looking on are Bill Souvall and Andy Kartalis. The Orthodox Christian Laity Winter Board Meeting took place in Columbus, Georgia the last week of February 2012 at the Hilton Gardens Inn. Advisory Board member and former mayor of Columbus, retired Colonel Robert S. Poydasheff, was the host of the productive meeting. President Bill Souvall from Salt Lake City, UT presided. The agenda included adopting the budget for 2012. 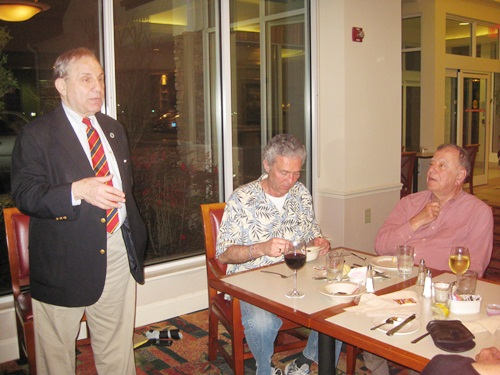 OCL’s updated website was a topic of discussion as well as the progress of planning for the 25th Anniversary Meeting which will take place in Washington D.C. on October 24-27, 2012. 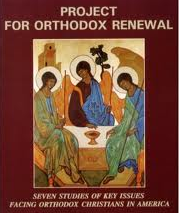 The theme of the meeting will be Our Orthodox Past, Our Orthodox Lives, Our Orthodox Future. OCL President Bill Souvall on the left with Andy Kartalis, his worthy assistant. The Anniversary weekend festivities will include an opening Hierarchal Liturgy celebrated by his Eminence Archbishop Nathaniel of Detroit and the Romanian Episcopate. The Liturgy will take place at St. Nicholas Cathedral in the Georgetown Section of the District. His Grace Bishop Maxim of Los Angeles of the Serbian Archdiocese will be a keynote speaker. Other speakers will include Nikolas K. Gvosdev, Frederica Mathewes-Green and other outstanding individuals who will direct panel discussions. Peter Marudas and Ken Mitchell are organizing the program. Participants will also visit Dumbarton Oaks and the Library of Congress. Events will take place at Mt. Vernon College which is a part of George Washington University. Additional board meeting topics of discussion included developing and implementing fundraising programs throughout this, our 25th Anniversary Year. A preliminary draft charter outlining principles for a unified Church in the United States was presented by George Pontikes, Chicago, Illinois. This has been and remains a work in progress. Susan Haikalis of Walnut Creek, California was nominated and accepted an appointed to the OCL Board of Directors, and Ronald Muresan of Bloomfield Hills, Michigan, who coordinated the 24 Annual Meeting honoring Council of Eastern Orthodox Youth Leaders of the Americas (CEYOLA), has joined the OCL Advisory Board. 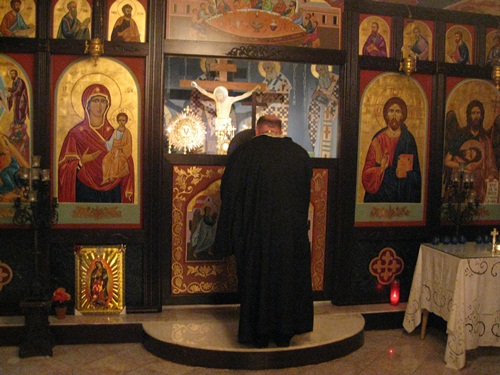 A highlight of our winter meeting was the vesper service celebrated at Holy Transfiguration Greek Orthodox Mission. Father David Hudson and Prebytera came from Atlanta to conduct the vesper. Many of us met Father and Presbytera when they returned from Romania several years ago at The Dormition Monastery at Rives Junction, MI. 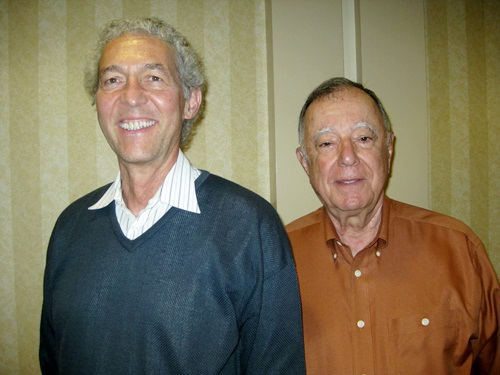 Seated, George Pontikes and standing, George Karcazes – founders of OCL and Open Forum speakers discussing the History of OCL. The Board members of OCL have visited many Orthodox Christian Churches throughout the United States during its 25 years of service to the Orthodox Christian Community. 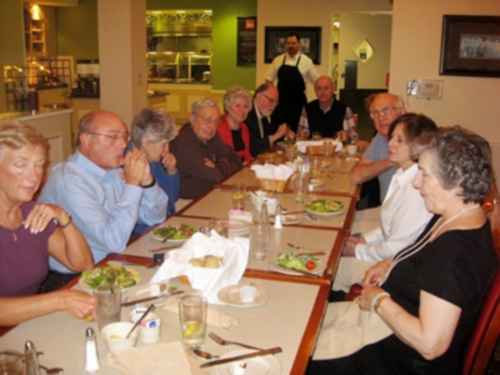 OCL has hosted over 72 Forums in communities throughout the USA. 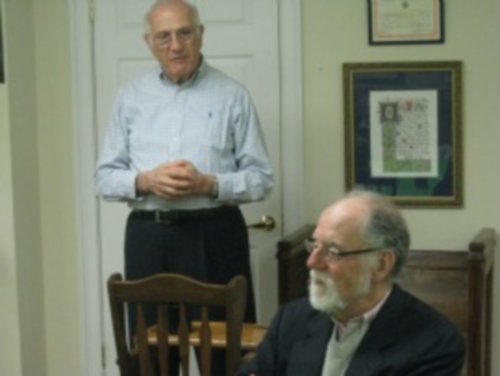 Board members were humbled by the work of Holy Transfiguration in the Columbus Community. Thirteen years ago, the Church decided to locate in one of the poorest economic neighborhoods of the city. The Orthodox Christian community bought an old Pentecostal Church that was in disrepair. The homes around the church were built by cotton mill producers for their workers. In thirteen years, this multicultural and convert Orthodox Christian parish has rebuilt a lovely mission Church and helped revitalize the neighborhood community. OCL Board members and spouses enjoy an evening of fellowship. We experienced the respect and love of the neighbors while we were holding our OCL Open Forum in the beautiful parish hall which is the center of a community outreach feeding program for people who qualify for food assistance. One of our program participants who was elderly could not find the location of the meeting. Five neighborhood ladies brought her to the meeting hall. We greeted all of them, and they spoke with respect and love for the Holy Transfiguration Mission Church. 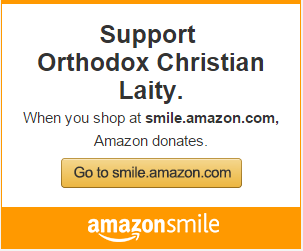 What a powerful testimonial to Orthodoxy in Columbus, Georgia! What a wonderful way for all of our board members and others to begin the Lenten journey. Mr. and Mrs. Poydasheff were gracious hosts, expending themselves and the community to their OCL guests. Thank you to all who participated in this memorable meeting.